LFD’s engineers have successfully further developed the existing friction double lip seal to meet the high requirements set in agriculture. They have successfully developed a stronger sealing effect with only a slight increase of the friction moment. 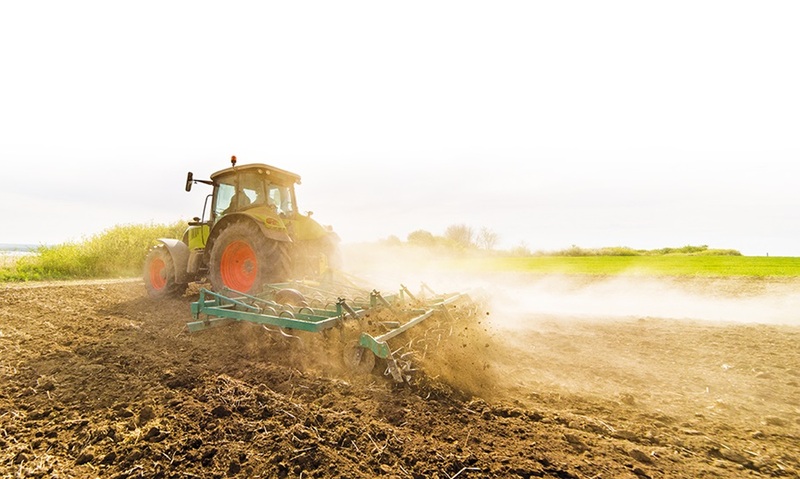 Bearings in the area of agricultural machinery must meet high requirements in practice. In the course of this, contamination by manure, soil, dust, etc. are daily occurrences. In daily use, additionally stone impacts can occur and high-pressure cleaning is an enormous challenge for any seal. The objective was to achieve a higher sealing effect with similar energy efficiency and in this manner to enable an increase of the service life under environmental influences. In order to achieve the desired objectives, the existing double lip seal made of NBR material (acrylonitrile-butadiene rubber) with sheet steel reinforcement was developed further. The design was reinforced at various points and in sections a larger elastic capacity for distortion was created. 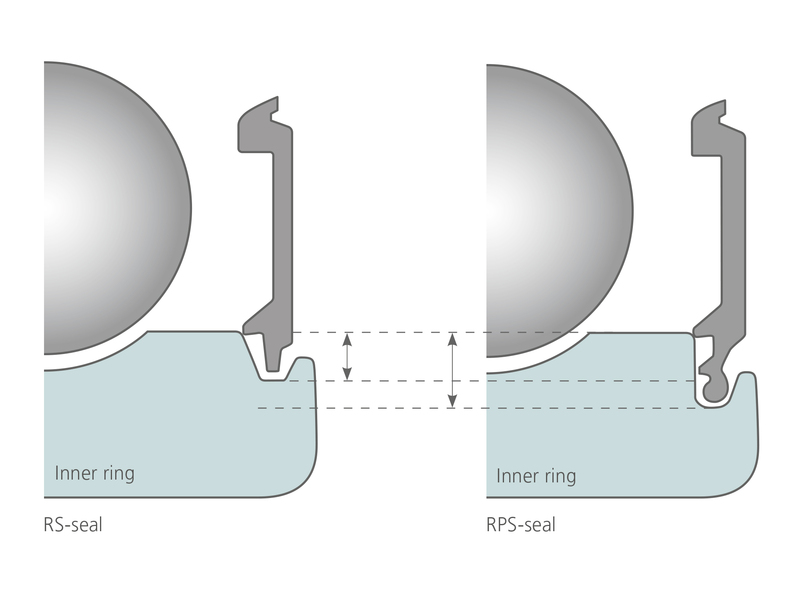 As a result of this desired distortion, an additional sealing chamber is only created in the event of pressure application by rocks or a high-pressure water jet, which additionally prevents the ingress of dust or moisture. The challenge was to avoid the creation of additional friction in running operation without pressure application and in this manner to increase the service life. This has been successfully implemented. Moreover, the geometry and the surface finish of the groove cut was further optimized at several points in order to among others achieve a better gliding effect and to increase the effectiveness of the labyrinth effect of the seal. Both further developments of the component resulted in the new RPS seal or – with two-sided use – in the 2RPS seal. Of course the bearings were tested on LFD’s own test benches. As a reference, a 6005-2RPS bearing was tested under the following parameters: 3000 rpm at a load of 3000 N. In the course of this, during the comparison of a double lip seal with the 6005-2RS, only a slight increase of the operating temperature was measured, showing that the new RPS seal by LFD has a similar friction moment. 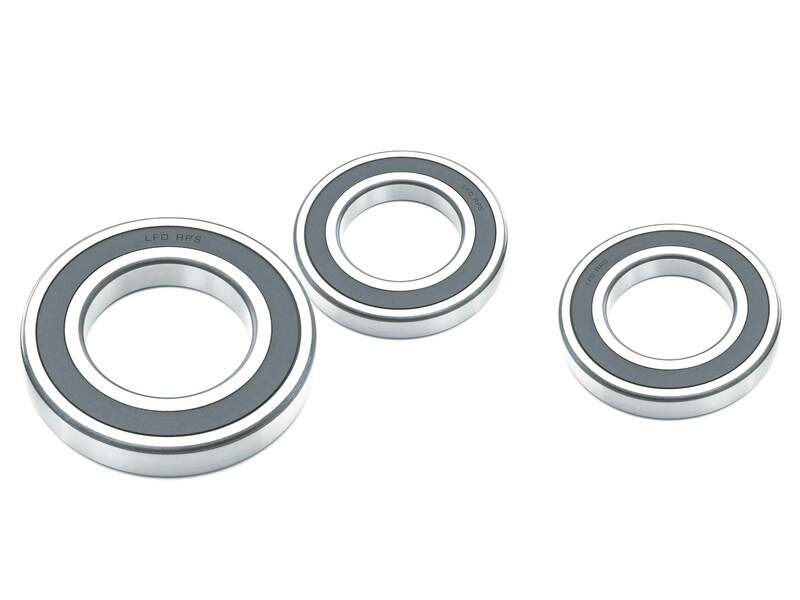 Subsequently, the bearings from notable manufacturers of agricultural machinery were tested on their test bench with pressure application by means of a water jet, similar to that encountered among others during the cleaning of equipment in practice. In the course of this, all demanded requirements were successfully mastered. LFD currently offers the RPS seal for the ball bearings 6004, 6005, 6204, 6205, 6206, 6305 and 6306 as standard. On request, the seal can also be developed for other sizes.